Chickering, 1862, Boston. The Chickering Piano Company, founded in Boston in 1823 by Jonas Chickering (1798–1853), at first made square pianos, then, beginning in 1830, upright models and finally, in 1840, grand pianos. In 1840, Jonas Chickering patented his design for the first full cast iron frame to withstand the tension of the strings of a grand piano. Sometime later, he developed the system of overstringing, whereby the bass strings cross over the strings in the next register. Variants of this pattern were eventually adopted by piano manufacturers everywhere; all modern grand pianos are overstrung, and reinforced by cast frames. 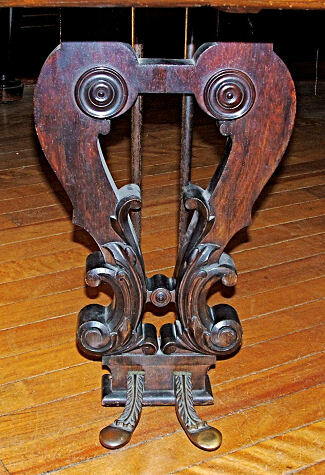 In 1851, a Chickering piano won a First Prize medal and other awards at the London World’s Fair. When the Chickering factory was destroyed by fire in 1852, the building that replaced it was the second-largest (after the nation’s Capitol) under one roof in America. Jonas Chickering did not live to see the completion of this building, but the firm continued to prosper under the management of his sons, who were already partners in the company. Chickering pianos won many more honors, including a first prize at the Paris Exposition of 1867, where a new American competitor, Steinway, also won a first prize. Chickering pianos were enthusiastically endorsed by Franz Liszt, who owned one given to him by the Chickering brothers. Gottschalk and other important musicians also praised Chickering pianos. On October 25, 1875, Tchaikovsky’s Concerto No.1 for Piano and Orchestra received its world premiere in Boston Music Hall on a Chickering piano played by Hans von Bülow, with a small orchestra under the direction of Benjamin J. Lang. 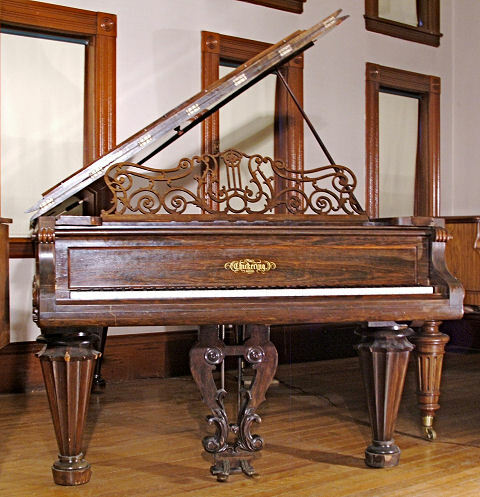 The design of the 1862 Chickering piano in the Frederick Collection, an eight-foot five-inch concert grand with a single-piece cast frame, appears to have been influenced by the composite-framed Erards. 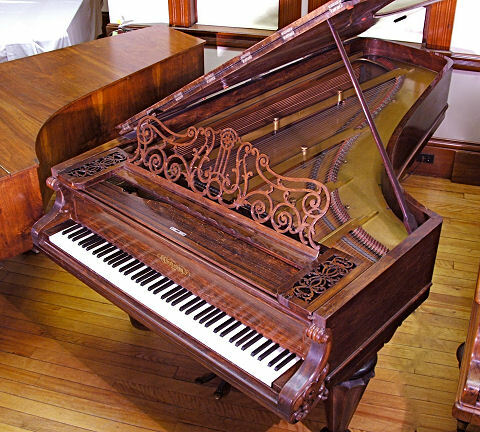 Like Erard concert grands of the period, this Chickering is parallel strung, not overstrung, and unlike many Victorian period Chickering pianos, its case decorations are comparatively modest – although not so austere as the Collection’s Erard concert piano of 1877.